Do you have a broken underground water or sewer pipe? Whether you live in Overland Park, Shawnee, Mission, Independence, Blue Springs, Lee’s Summit or anywhere in the greater KC area – The Plumbing Pro will provide free, no-hassle estimates on your underground pipe issues using our trenchless sewer repair technology. We know time is of the essence when a broken underground line causes grief and threatens to damage your home and yard. The Plumbing Pro staff is fully-equipped, well-trained and experienced at locating & detecting underground leaks, broken lines, tree roots or debris buildup and corrosion. Repairing and replacing under pipes is what we do. The Plumbing Pro is licensed in Kansas City, the surrounding counties of Johnson, Wyandotte, Jackson, Cass & Clay. Our experience in excavating, boring and digging in yards and under driveways, even inside buildings or homes in unmatched. 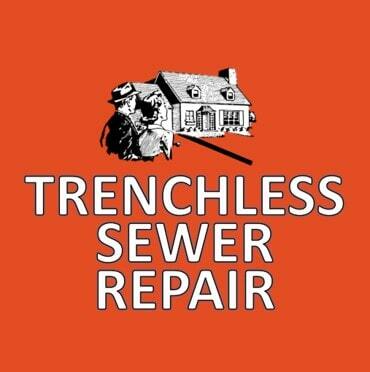 However, now we offer trenchless sewer line repair. Which means far less digging in necessary. Trenchless Repair Is Easily Accomplished In Four Steps. The Plumbing Pro will identify all access points and do a video pipe inspection. The information obtained during this inspection will determine depth and location of issue. We can then determine where “pull points” must be located. We will then dig two small holes on either end of the problem area. Replacement HDPE piping will then be pulled into position right where the old damaged pipe currently exists. While the new piping is pull the old damaged pipe will be pushed out of the way. The Plumbing Pro will then attach the newly pulled pipe to the remaining undamaged portions of your sewer line. All done quickly and for less than traditional dig sewer repair. The Plumbing Pro is just one call away from looking at your underground piping issue. We offer video pipe inspection to determine exactly what your problem is. But did you know, we love giving second opinions? If you have discussed an underground pipe repair with some other company, we would love to give you a second opinion. All we need is the location and depth information. We can even look at their video inspection if you have it. In this way, we can offer you a choice on plan and pricing. Once your problem is discovered The Plumbing Pro’s broken trenchless sewer repair experts will create a plan unique to your needs and budget. Taking into account the best locations for the entry and exit holes. All of our repair technicians are trained to operate our backhoe equipment safely and efficiently – ensuring that your job is completed on time and within budget. They also have the necessary skill to use the hydraulic pull pipe bursting equipment. Most importantly we have years of experience working on all kinds of residential and commercial plumbing projects all over the Midwest. Finally, when the job is completed The Plumbing Pro will back-fill the holes making it safe to walk on. We can also make arrangements to replace any concrete, asphalt or landscaping removed during the process for a fee. This is something you will want to discuss during the bidding process. At the Plumbing Pro, we are dedicated to returning the excavated underground pipe work site back as close to its original state as possible. The customer loyalty we have received from Kansas City business and home owners is proof positive of the importance we place on QUALITY SERVICE, CRAFTSMANSHIP and PROFESSIONALISM. The Plumbing Pro’s experience and attention to detail set us apart from the other sewer and plumbing companies in Kansas City. The Plumbing Pro is proud to offer unequaled after the sale support and factory warranties on all of the products we sell. We even offer extended warranties on some items. Ask us for more information. We understand that plumbing repairs can be time-consuming, frustrating and expensive. That is why we offer a detailed dig schedule, the best prices, along with financing options in Kansas City.